I had a wicked headache on Thursday night that sent me straight to bed. On Friday we rushed off to the city for my OB appointment and then we headed straight to a family event that night. When I got home my fast food supper had made me very sick and I spent the rest of the night looking quite green. (And all of the disgusting things that go along with that). So there you have it. My list of reasons this post is coming out on Saturday. Ha ha! 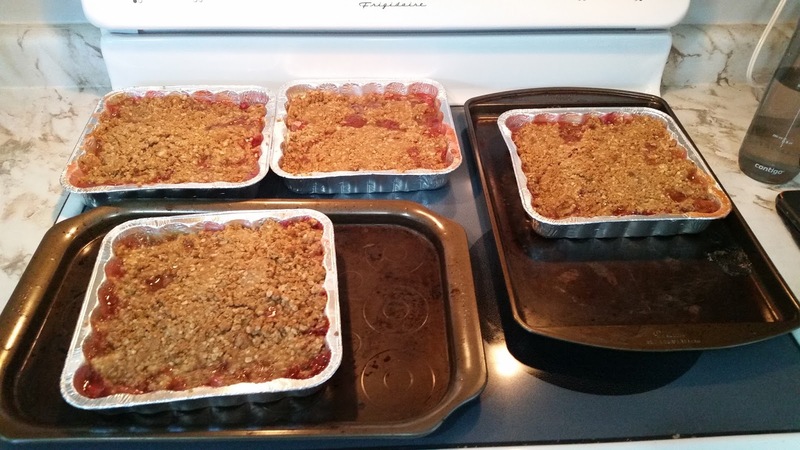 I am linking up with Della, Tif, Becky, and Katie for H54F. 1.) Last weekend was perfect! We basically spent the weekend at home, which was something that I really needed. I spent a decent amount of time in the kitchen preparing garden vegetables for freezing. 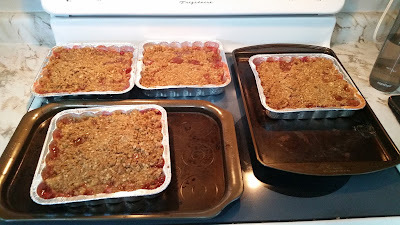 I also baked 4 rhubarb crisps and 2 apple crisps. Yum! 2.) On Saturday morning, Miss. 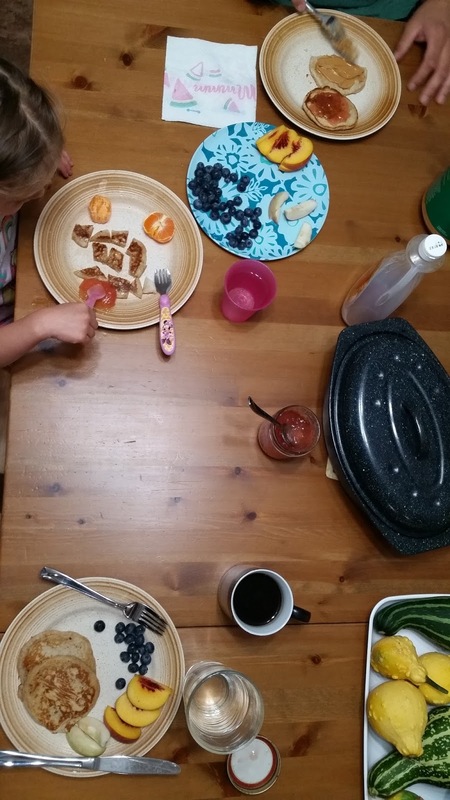 E and I made pancakes for breakfast. She loves helping out in the kitchen! It was a lot of fun and the pancakes were delicious. My favourite moments from the past weekend were when we were all gathered around the table, eating and talking together as a family. I appreciate these little moments and they fill my soul with such gratitude and joy. There is no place I would rather be. 3.) We attended a friend's birthday party on Saturday afternoon. It was a lot of fun. The kids had a blast playing together and the adults enjoyed spending time together and chatting. 4.) Work has been incredibly busy but it has been going well. I am always shocked at how fast my day can go sometimes! 5.) I didn't have work Thursday so Miss. 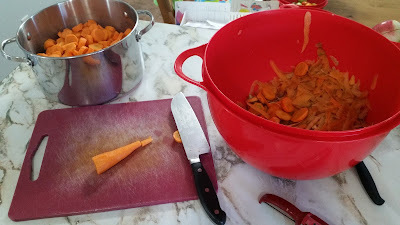 E and I cleaned house and worked on harvesting our garden. The weather has finally turned cool so I am a much happier camper. We got a lot done before my headache hit. Thank goodness!